The two-time Oscar winner told Speakeasy in a telephone interview that she found the rather straightforward approach to the fairy tale “refreshing” in this age of reimaginings, reboots and twists meant to conform classic stories to the zeitgeist of the day. In the case of “Cinderella,” she said, much of it comes down to how faithful the Kenneth Branagh-directed film is to the way the story has a variety of important roles for women — even if some of them are villains. “You see sisters, you see godmothers, you see stepmothers, you see birth mothers, you see daughters, and so you see a lot of different female dynamics,” she said. 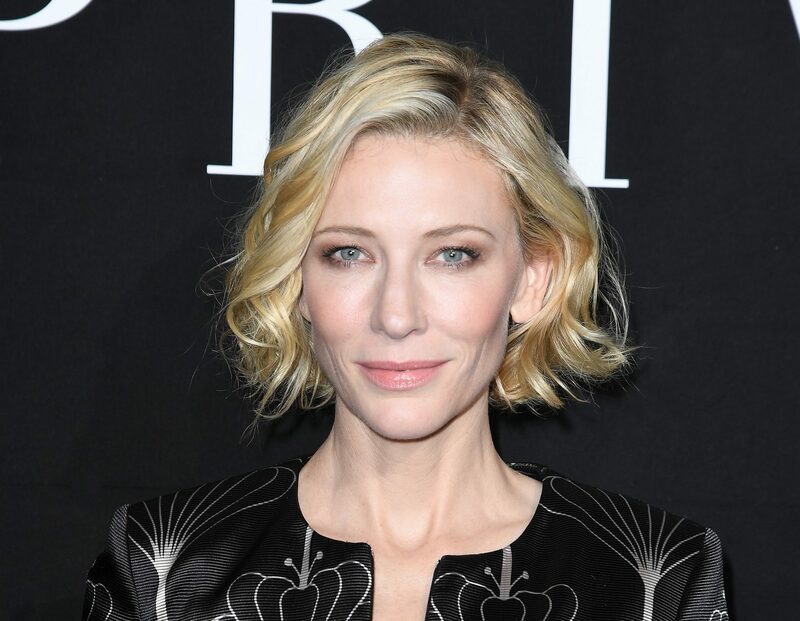 Blanchett also weighed in on the power of wigs, Patricia Arquette’s stirring call for equal pay for women and how Blanchett channeled Fred Flintstone during the filming of “Cinderella,” which opens Friday. An edited version of the interview follows. You’ve played a wide range of characters. How do you jump from something like Galadriel (“The Lord of the Rings” and “Hobbit” films), who’s sort of like the fairy tale ideal of a woman, to the evil stepmother in “Cinderella”? Wigs. It’s all the wigs. (laughter) It’s what’s demanded of you. Both tales are very well known, and there’s a sense of what are you going to do with this? What are you creating? What are the actors going to do with this? What I really found completely refreshing about this version of “Cinderella” is that it had this sumptuous, inventive, completely satisfying and enticing storybook universe, but it had really three-dimensional characters. I read the script, and I said to Ken [director Kenneth Branagh], “This is basically the story.” I come off being an audience member to a lot of twisted fairy tales, a lot of fairy tales being told from a very zeitgeist-y twist, and this didn’t have that. I found that really refreshing, both to be in and to watch. Disney has been doing a lot of revisionist fairy tales, and this was unique in that it wasn’t revisionist. You have a director at the helm who understands why, for centuries, we would continue to want to see and want to perform “Hamlet.” We all know how it ends. We all know the story. But when you see a great production of it, you feel like you’ve been told the tale for the first time. And I’ve noticed this in my own children — is often, when they enjoy a book, they’ll want you to read it again, or have it read to them again. They’ll love it, and they’ll watch it over and over and over again. There’s something really robust about the fairy tales, I think. … There’s something really pure about the re-telling and, I think, ultimately very satisfying. There’s a visceral reaction to villains who are women, moreso it seems than toward male villains. You see it on TV a lot, for instance. Male villains become so beloved, like Tony Soprano or Walter White, whereas Cersei Lannister or Skyler White are reviled. Do you think this has its roots in fairy tales, where traditionally women are either princesses or mother figures, good or bad? Well, the notion of the stepmother is a child’s worst nightmare. Women are sort of socialized to be kind, to be true, to be generous, to be demure. And when you have somebody who presents that way, who, in fact, isn’t your mother, it’s every child’s worst nightmare — that the loving mother figure will turn on them. That’s the way society has worked for a very long time, for better or worse. I think it’s the way horror works, as well. It’s the way Scooby-Doo works! … One of the wonderful things about “Cinderella” is there’s so many female examples, examples of female behavior. And also there’s cruelty among women to women. It’s a story that has — in this particular retelling, there’s also a very beautiful father-son relationship — but you see sisters, you see godmothers, you see stepmothers, you see birth mothers, you see daughters, and so you see a lot of different female dynamics. One of the most striking things about your performance is how you would pose your body and it would just fit the frame so perfectly. Did you work on this with Kenneth a lot, or did you have ideas going into it? The first time I stepped onto the step — and when you’re working on a set that’s been designed by Dante Ferretti, you want to use every inch of it — I was really struck by the potential there. Whether that comes from being an actor who works on the stage, so understanding what the frame is going to be is very important to me because you want every frame of the film to feel like the next exciting page in a storybook. We’re in a storybook universe. So I would always check what the shot was, what the setup was, what the frame was, and to see how best to use that. I had a bit of a “Flintstones” moment! You know how Fred and Barney — the car sails along, but the feet are going rapidly underneath? I wanted to be able to glide, and I had to have a bit of practice to be able to glide. [The character] has a very self-conscious, designed grace that hopefully that becomes more and more of a burlesque as the story develops, as her panic sets in. Look, when you need to get a cheap laugh, just go for it. I was wondering if you had any reference points like that? I just wanted her to sound slightly that she was from the wrong class and that she worked very, very hard on sounding and being in the right class … Not that I based her on this character, but there’s this wonderful character in “Brief Encounter,” when they’re at the railway station, and the woman that works behind the bar, she’d drop a few proper-sounding vowels into her very arch, cultivated sort-of traditionally lower-class accent, but she’s trying to stay above her station. What was your response to Patricia Arquette’s speech at the Oscars? It generated a lot of excitement among female actors in the audience. Yeah, I mean it’s ridiculous that in 2015 we’re even having a conversation. It’s very, very hard … when you cannot walk in, no matter what your profession is, and get equal pay for equal work. How do you get to a sophisticated dialogue about anything in an industry where there’s heightened inequality financially. It’s ridiculous. So, yeah, she hit the nail right on the head.